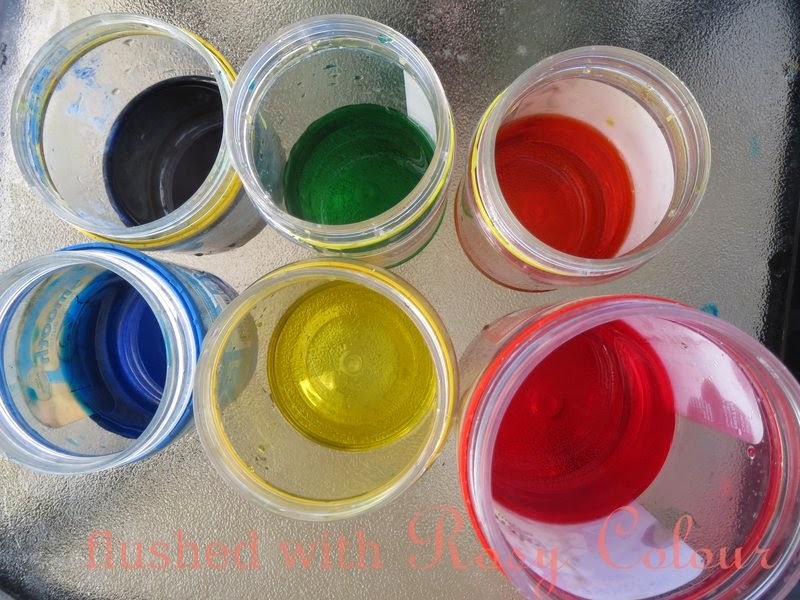 I set up some coloured water in the jars, using food dye, one blue, red, yellow, then mixing yellow and red to make orange, red and blue to make purple, and yellow and blue to make green. 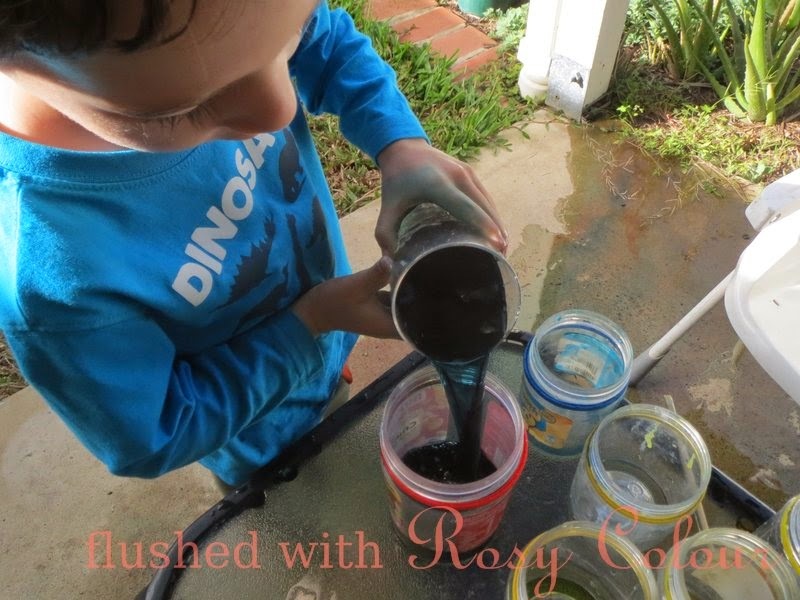 He likes to pour the different colours into a big glass, and it turns a dark brown colour, it looks like cola! He happily plays with this coloured water for about half an hour, after which time he has usually tipped the water out and if he wants me to, I get him some more water to play with. He loves it.